You can read my more succinct race review over on BibRave.com. 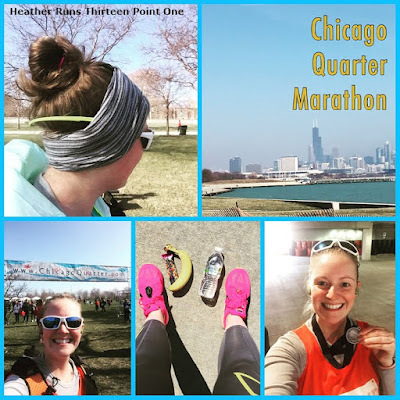 The Third Annual (and my third time participating) Chicago Quarter Marathon was held on Saturday, March 26, 2016 with a 9:15am start. 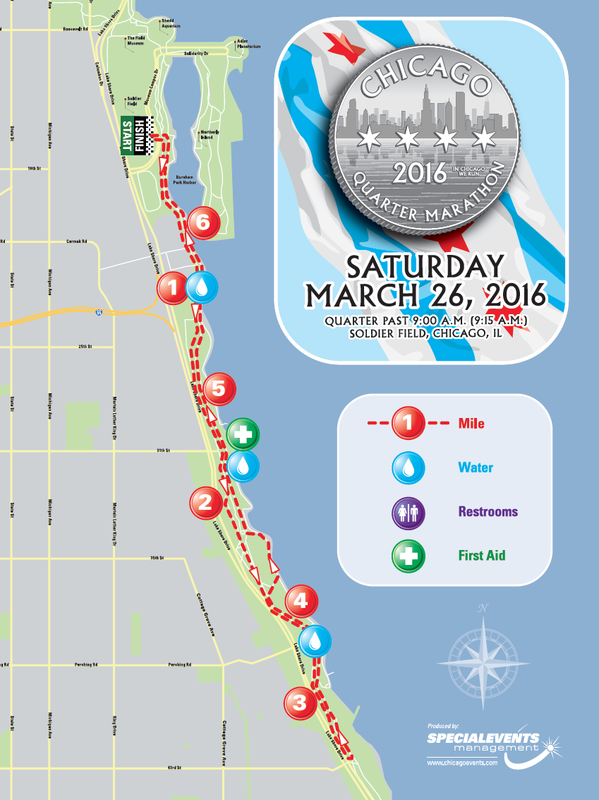 The start and finish were just outside Soldier Field, so we parked at Waldron Deck for $20. 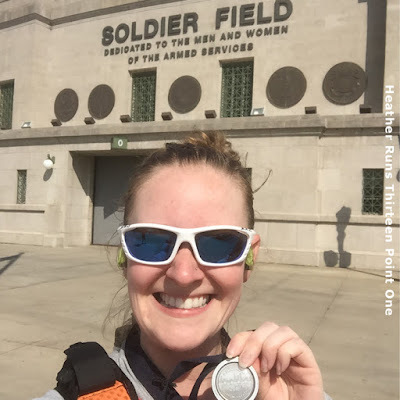 I do love races at Soldier Field. Though parking can cost more than other locations, it's always easy and you don't have to worry about getting a spot. Waldron Deck was wide open still (maybe 30% full) when we arrived, and even if that fills, you can head over to the North Garage. We were also able to get free packet mailing because we registered prior to January 25. Yay! If you didn't get free (or pay for) shipping, then packet pickup was being held at Road Runner Sports on Kingbury Saturday the 19 and Thursday the 24. 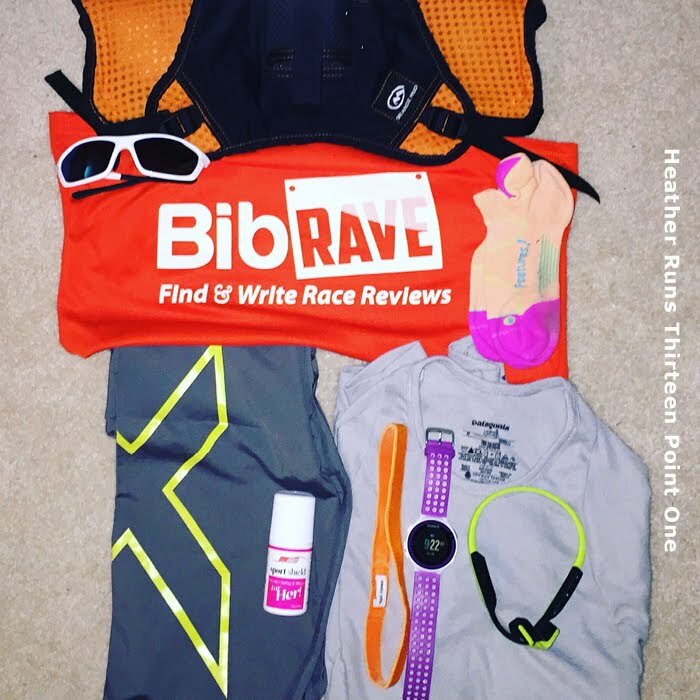 You could have a friend or family member pick up your bib (up to 5). This year participants received a red, full zip sweatshirt embroidered on the front with the race logo. We arrived about 30 minutes prior to the start, so hung out in the car for a while. Weather on race morning ranged from low- to mid-40s, 7mph winds, and mostly sunny. Not bad at all. Training leading up to this race was a bit off. I had taken some time off to let my minor quad injury (which ended my run streak) to heal, so I wasn't expecting any type of PR. 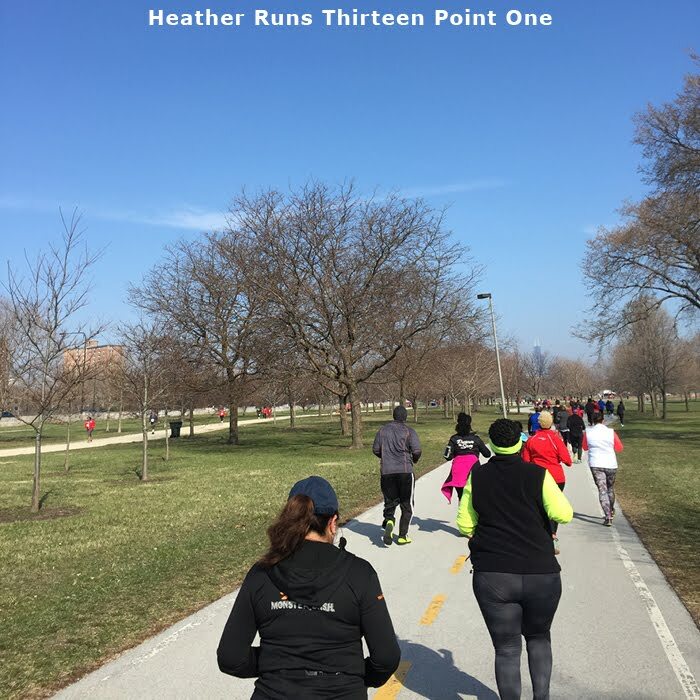 I ran with my mom and we chatted and had some fun. 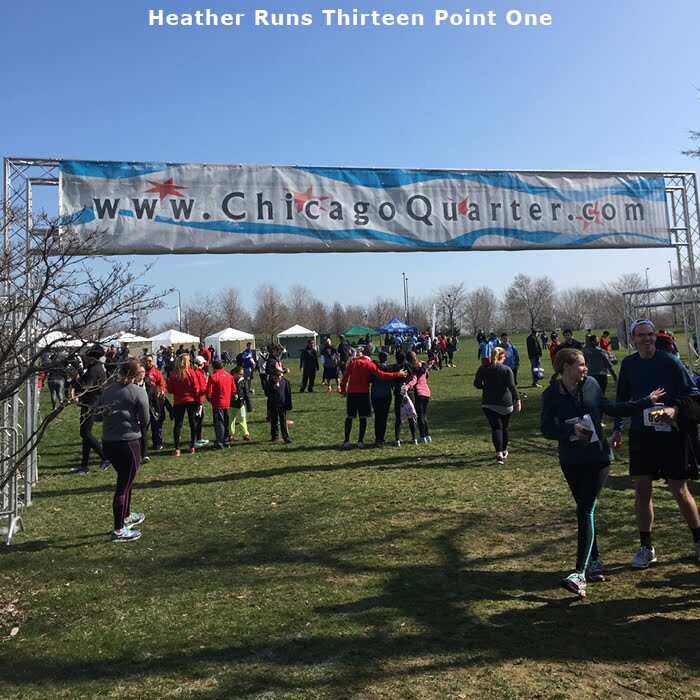 The course was the same as previous years - line up and start line were on Waldron Drive, then you went south on the Lake Front Path, turn around and come back north to the finish (same as the start line). The path does split at one point, so there wasn't too much of the two way race traffic causing congestion. I'd say there were approximately 1000 runners for this race. Take note that there were no corral, pace signage, or wave start. Everyone just lined up and when the race started at 9:15, we were set loose. I was towards the back at the start, but plenty of people came in behind me once we started moving, but I didn't notice too much congestion and it thinned out quickly enough. No pushing or shoving, which is always nice. This was part of the course that has the path in two spots, so less congestion. I was getting nervous that there wouldn't be any post-race snacks for as at the finish line, the way they ran out of water on the course. What if they weren't prepared there either? Luckily, they still had snacks. We grabbed a bottle of water, banana, and choice of Kind bar (I grabbed the Pomegranate Blueberry Pistachio). There was a live band playing, and a special Easter Kids' Hop (Additional fee) where kids got to run around with the easter bunny. Mom and I did running 45 sec and walking 55 sec. We finished with a decent time (not as great as I'd been having before my mini break, but still not bad) and I was happy with how my legs were feeling. This was also the first race I used my Aftershokz Trekz Titanium headphones and they worked great! I could listen to music, but also was able to talk with my mom without having to take earbuds out. They use bone conduction technology, so nothing is actually IN your ear. They're pretty sweet. Plus, they matched my 2XU compression tights for the race haha. 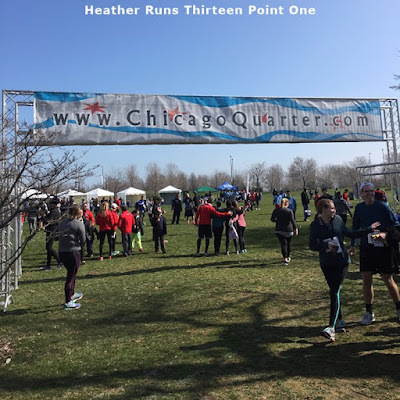 At the finish, participants received a medal (a bit on the cheaper end this year - just went through and saw my 2015 medal and it was a tad nicer). Not a big deal for me, as most of my medals are hidden away in a box, but my feelings are if you are going to have a medal, have a nice one. I generally don't expect a medal for anything less than a half (though I do think it's a nice bonus when there is one). Anyway, I wish it was a little nicer is what I'm trying to say haha. If I'm available, I'll probably be running this event again in 2017. It's a nice way to sort of kick of the racing season (though I do race all year round, the race choices are more slim in the winter), and I just enjoy racing for fun. It's nice bonding for my mom and I. Also, the race beneficiary is Prevent Child Abuse America - love when races donate some of the proceeds to a good cause.